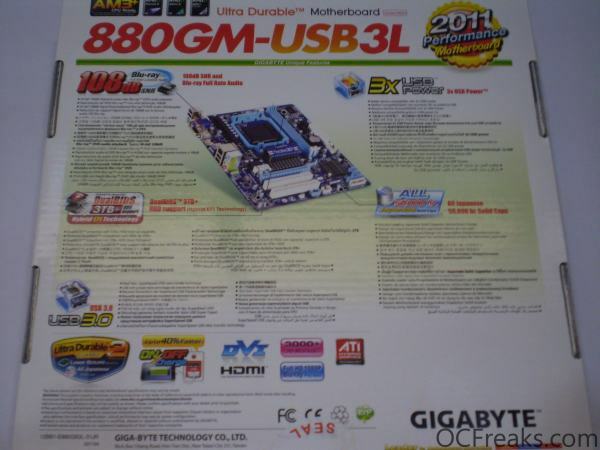 The motherboard which we are going to review today is Gigabyte 880GM USB3L. This motherboard falls in low to mid-end range and provides good set of features for the price. It was around $90-$100 at the time of this review. Like many motherboards out there in the market this one too has a smaller and a bigger brother. 880GM-D2H is a little bit cheaper than this and lacks USB3 support , except for USB3 both the motherboards are almost Identical. 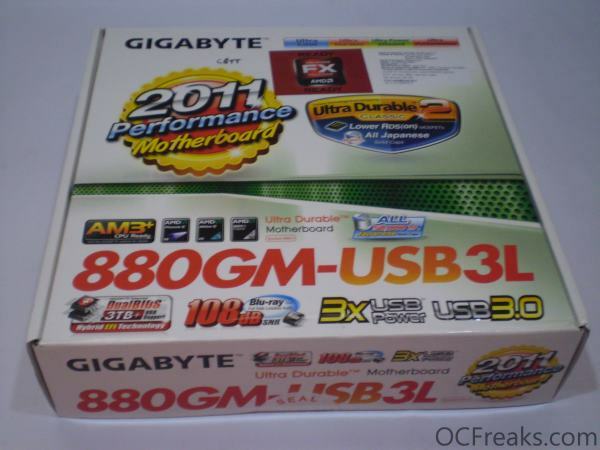 880-GM USB3 being its bigger brother has some extra features and is priced higher as compared to the one being reviewed. When it comes to overclocking this board doesn’t fall behind and is indeed a serious Overclockable motherboard. Nice oc potential,but was that 1920mhz ram frequency hit with a 1333 or 1600mhz ram? It was with 1600Mhz GSkill RipjwasX CL9. When BIOS is left to default it forces ram to operate at 1333Mhz since to use ram at 1600Mhz base clock needs to be pumped.